Shocked Investor: Latest Report: There are Five Unemployed For Every Job Opening in The U.S.
Latest Report: There are Five Unemployed For Every Job Opening in The U.S. 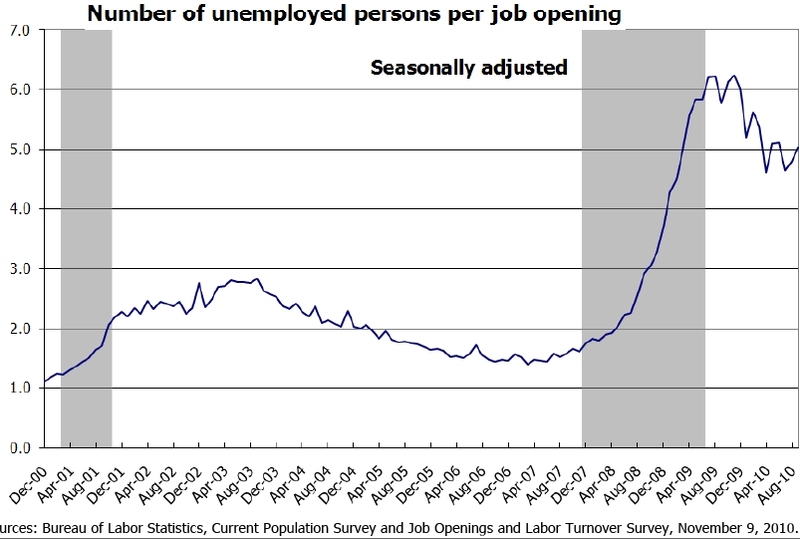 The U.S. Labor Department released a report on job openings and labor turnover (JOLTS). 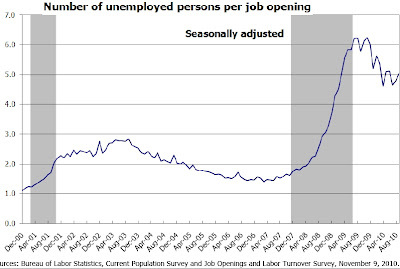 It shows that there were five unemployed workers per every available job in September. This is actually not as a bad as the record a few months ago.